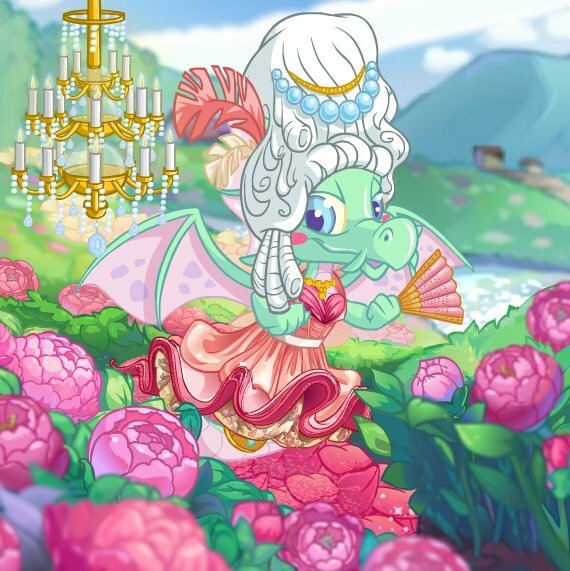 Note: Account age must be 4+ months to purchase items from The Hidden Tower. This is the place to buy all of your pricey rare and magical artifacts. The Hidden Tower is accessible here . An invisible tower in the Queen Faeries tower has been home for hundreds of years to the most powerful items in Neopia. She is now selling them to raise money for Faerieland... can you afford the price??? 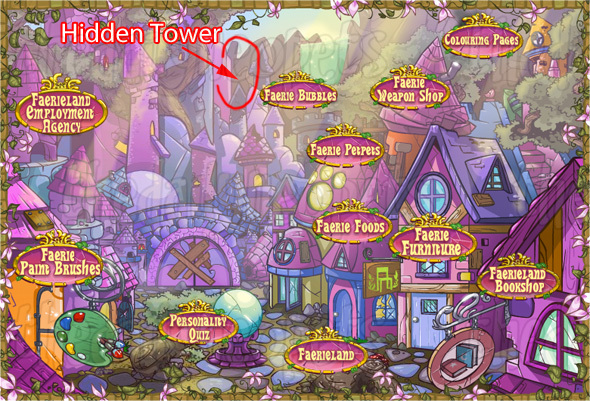 You can also access the Hidden Tower, through Faerieland . 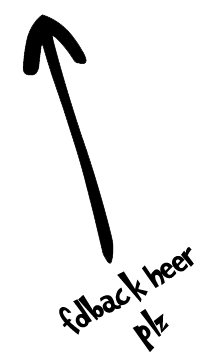 It's hidden, so we've put together a picture to show you exactly where to click, see below. These items used to stock in the Hidden Tower, but are now retired. They are extremely rare too. How to get: Purchase any item from the Hidden Tower. The cheapest is the Grimoire of the First Order at 100,000 NP, which also gives you the "HT-Rich" avatar when you read it to your pet. Accounts that are 60 months old and above now get a 3% discount at the Hidden Tower on the third Wednesday of each month. The following phrases randomly appear under the top image in the Hidden Tower. These magical artifacts are centuries old! You will never lose another battle again! I will add more items to my stock soon! You could never afford any of these! No, I dont do loans!!! You must be strong to wield these items in battle. This shop is more for rare collectors, collecting all the items in this shop would cost you a lot of money. :) Careful when browsing this shop though, it's not like a regular shop, click once and you buy the item. Enjoy.